Just imagine that almost all of us have another person living next to us in our apartments, cleaning our crumbs and occasionally also stealing from our cookie jars or causing some other minor mischief. Imagine that that person is living right in front of you and with you: in the wall, between the bricks, under the floor boards or behind the drywall. No, I am not getting peculiar or paranoid or both. Earlier this summer the Proceedings of The Royal Society B published an article documenting that ant nests of the same species (in that case rock ants - Temnothorax Rugatulus) develop different yet lasting behavioral traits depending on their environment and their prior experiences. In one word, not individual ants, but ant-nests have personalities: a nest becomes a person! I remember hearing something like that three decades ago from a family friend and naturalist/entomologist based just on his elemental observations. When you think about it, it actually makes very good sense. Social insects achieve high levels of cooperation and cohesion - their hives and nests often act as one entity. Now, let us do a little mathematics - an average ant worker has about 250,000 neurons; depending on the size of the nest (anything between several hundred to millions and even hundreds of millions of ants) it can have a combined neuronal capacity anywhere between a dog (hundreds of millions of neurons) all the way to a small team of scientists or even a medium-sized scientific institute (billions and trillions of neurons)! Ant nests clearly have the neuronal capacity to develop personality, and now it has been scientifically documented that they do this very thing. The biblical Book of Proverbs (30:25) made a similar observation many centuries ago: Ants are a nation without much strength, yet they are able to plan and store food for a lean season. Come this Sunday as we continue to reconnect with the ancient spiritual wisdom of our faith and celebrate not only ants but the all-embracing mystery of life. We will celebrate the life-giving spirit, a divine spark which we humans share with all creatures, large and small. And next time you see an ant, perhaps even several of them, invading your home or kitchen, please consider mechanical cleaning of your detritus and crumbs rather than a cocktail of chemical poisons in a spray. It might kill off ants efficiently and quickly, but also quietly, inconspicuously, little by little, poison you and all our environment. With ant colonies we might share personality, but with individual ants we certainly share the divine spark of life, the same molecular physiology of life. Do you remember your first, or some other powerful childhood wonder? I was born and grew up in the glass-making part of the Czech Republic. My maternal grandfather worked in a glass factory making hardwood molds for glassmakers. I remember watching master craftsmen draw red-glowing blobs of molten glass from infernal ovens and blow them into the most sublime shapes. People call it hand-made glass, but from my youngest age I have known that the finest glass is in fact breath-made. But this lovely metaphor does not need to be an antagonistic replacement, it can also be a genius update of the potter’s parable. The spiritual egotism of this gnostic saying can be eliminated as soon as we recognize The Master Glass-Maker at work not only in the elite group of the elect few, but in the forming and reshaping of the wide open world. After all, don’t volcanoes, with their infrared radiance and subsonic deep rumbling, look like some gigantic ovens? 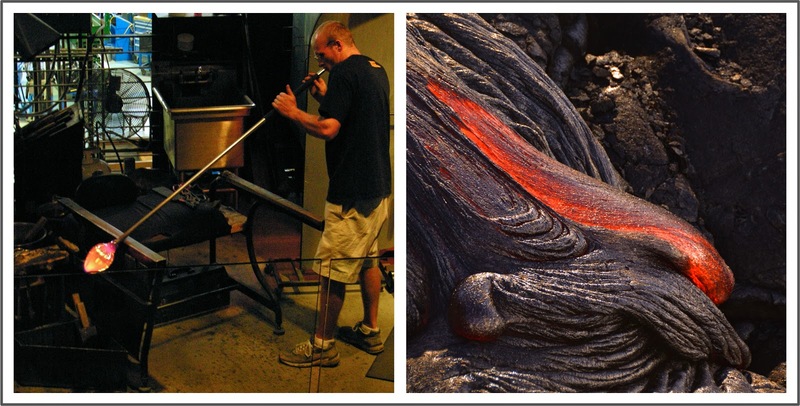 Doesn’t flowing lava look, move and behave much like molten glass? And just like a grain of gold melted in glass makes it ruby-red, or cobalt makes it unmistakably blue, or uranium teal green, so do different gasses, minerals and circumstances change colours and shapes of lava rocks. I guess my fascination with volcanos must have grown from my early childhood wonder. Different people have different early encounters with wonder. But the wonder itself is the same. And if we allow this wide-eyed child-like wonder enchantment to stay with us to adulthood, it has spectacular powers to keep our minds nimble, to inspire us, to ground us, and to keep us in harmony inside and outside. Come this Sunday to celebrate this mysterious power of our early wonders. Do you have your Healing Place? I do not mean a hospital or any walk-in-clinic. 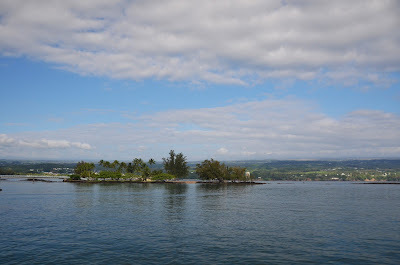 This Moku Ola is an island in the Hilo Bay, a place which was holy already to old Hawaiians. It was their ancient place of refuge, where sins and guilt were redeemed, and well being and harmony found. It was a place connected with a temple, royal fish ponds, surrounded with holy grounds. 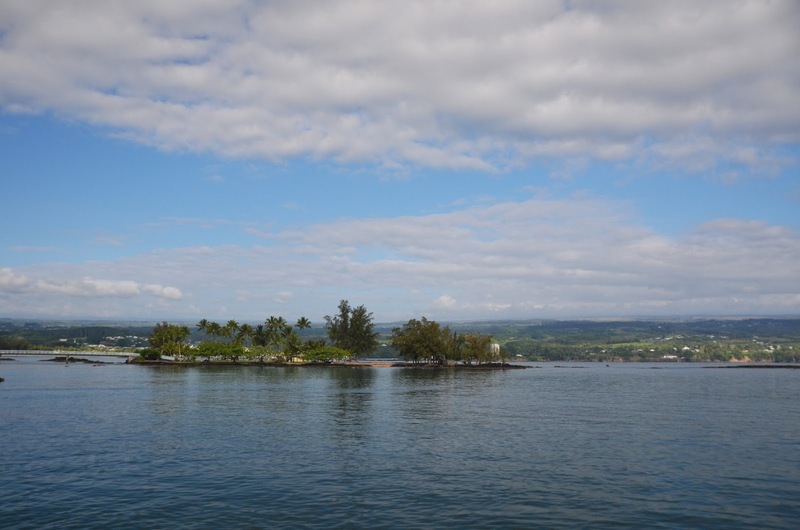 Unfortunately, in modern times, the fish ponds were turned into a park, the temple was destroyed, paved over and made into a parking lot, and the place of refuge became a popular picnic destination and a playground. And don’t worry, I am not succumbing to some virulent form of New-Age religiosity. This kind of recognition of such special spiritual places is in fact very Biblical **) and always has been part of our Christian faith tradition***), although it became partially suppressed and partially forgotten in modern times. 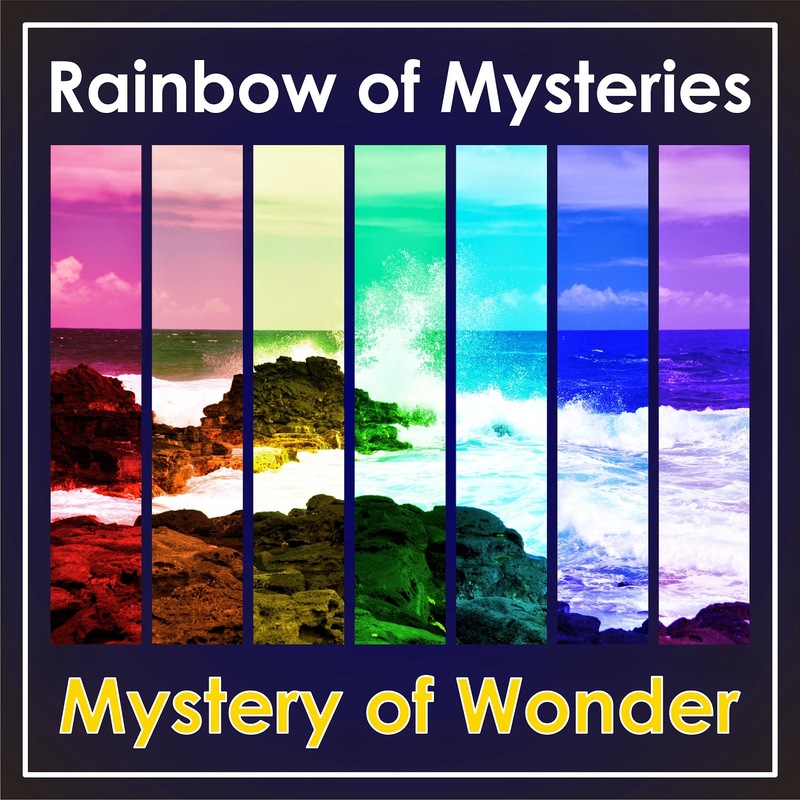 This Sunday, the first in the series “Rainbow of Mysteries“, we will attempt to uncover this forgotten and neglected aspect of our faith tradition. We will seek to open our minds, eyes and senses to the Mystery of Presence and God’s Moku Ola the Healing Places in environment around us. *) Ancient Hawaiians had a special class of priests called kuhikuhi pu‘uone (Literally: Experts in making heaps of sand) to seek appropriate places and to design houses and temples. They were indeed experts because there is hardly a religious place which would not be set in unique location, a place of worship without special atmosphere. **) We will be talking about Jacob's dream at Beth-El (Genesis 28), but there are many other especially biblical instances of special places where the divine presence was noted and remembered. 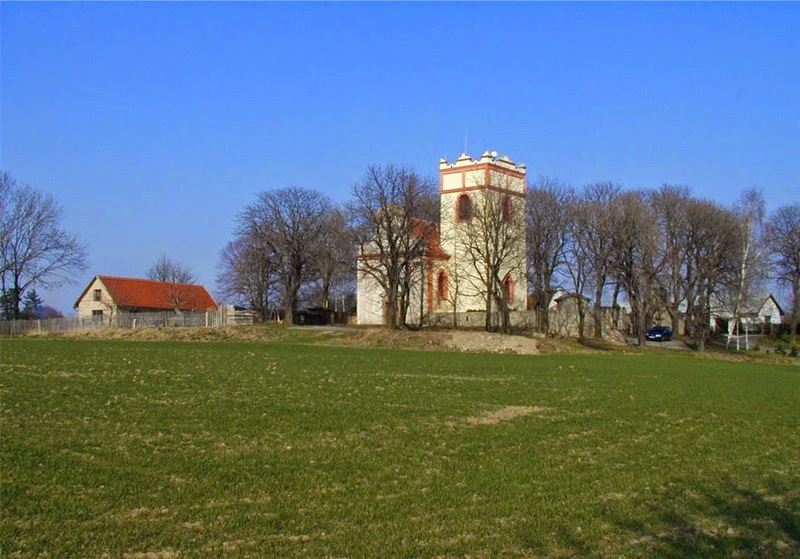 And here are pictures from some of my other healing places: St. Margaret Church on the Oppidum (abandoned iron age city) near Prague, or sunsets from the roof of our building. 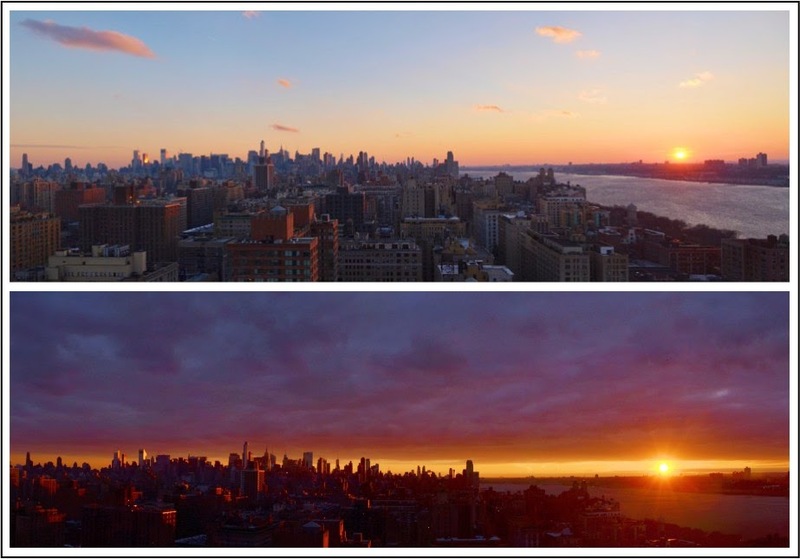 Sunsets over Hudson River from the roof of our building. This was not written last Thursday but in December 1966. It was said by a person of bright mind and deep faith, a lifelong Presbyterian and medievalist by profession, Lynn White. White was a true modern prophet and as such he criticized our shared Judeo-Christian faith tradition. Monotheistic religions became the most anthropocentric religions the world has seen and as such enabled and justified exploitation of nature in a mood of indifference to the feelings of natural objects. Almost half a century ago White wrote “I personally doubt, that disastrous ecological backlash can be avoided simply by applying to our problems more science and more technology.” And like any true prophet he challenged his contemporaries to change something deeper: the way in which we relate to nature and our planet on the deepest emotional and religious levels. The only way out of our current ecological crisis leads through a change of mentality, through re-forming our religion, transforming our faith, reconnecting with God, while recognizing our human selves as part of nature. We will participate in this ongoing transformation through the remaining part of Summer. 1) Our worship in August and September will seek to reconnect our faith and nature inspired by Lutheran biblical scholar from Australia Norman Habel. 3) On September 21 we plan to join an environmental demonstration during the UN meeting on Climate Change. 4) On September 27 and 28 visiting scholar Tricia Tull will teach and preach about this theme. 5) And on one of these Sundays we plan to visit an environmental exhibition at the Museum of Biblical Art. Can the Bible be censored? Churches do it all the time! Some biblical texts are never read in worship, preached upon or even taught. Why? Because so many biblical passages are truly boooooring, others are difficult to understand, many more are outside of our cultural comfort zones and quite a number of them are really brutish and nasty. And thus these questionable biblical stories, laws, prophecies and prayers are not necessarily censored, but simply left out with almost the same result - spreading a simplified, dulled-down religiosity prone to manipulation and abuse. Come this Sunday to un-censor the Bible, come to un-neglect these intriguing seven verses, come to tackle the demons of our religiosity (aggression, violence, windictivness, prayer for vengeance, dark religiosity...) and so grow stronger and more mature in faith.